Knucks. A 9-2 crush job of the Dodgers, and just like that… Padres get their first series win. Jason Marquis went 7.2 and only gave up one run. Didn’t see that one coming. 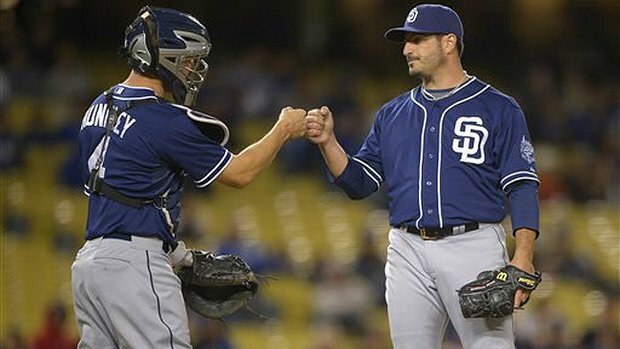 Pads turn to Tyson Ross for the sweep tonight. This entry was posted in Baseball, MLB and tagged Dodgers, Jason Marquis, Padres. Bookmark the permalink.